Vijaya Bhaskar's Homage Meeting at RBI Quarters Jalada Prabhadevi - 27th May 2018. 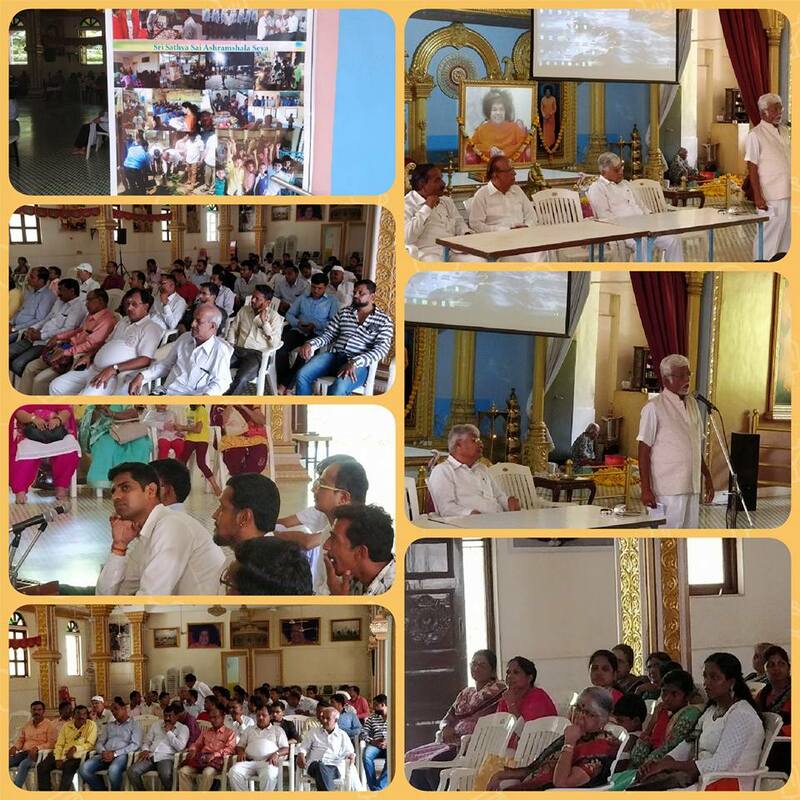 Live - Concluding session of the Bhagawat Saptah by Bandra Samithi at Shantideep Dharmakshetra on 27th May 2018. Live - Bhagawat Saptah by Bandra Samithi at Shantideep Dharmakshetra on 26th May 2018. The Music, Art and Drama group of the Wellness Centre conducted a workshop on Self-Awareness through Music, Art and Drama for the teachers of the S. K. Birla School from Kolkata as a part of the ongoing EHV course. The session was loved and enjoyed found enlightening by the teachers. 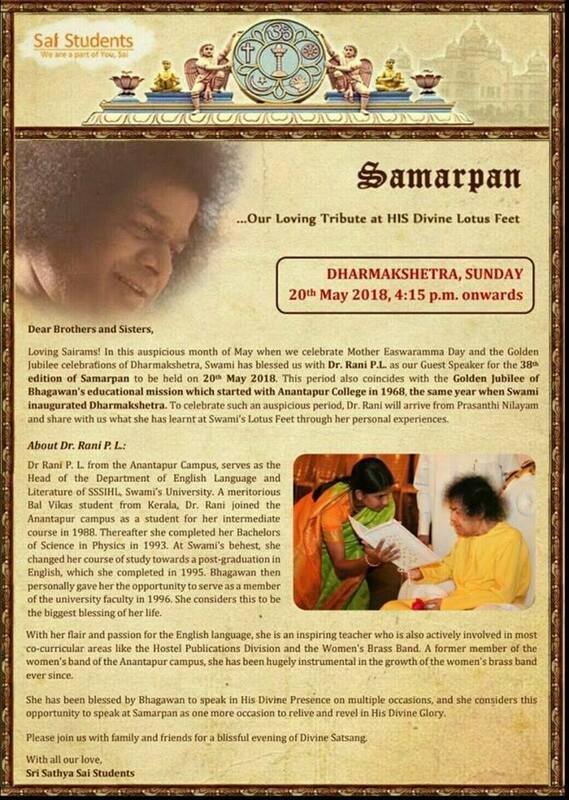 Samarpan - Dr Rani P L - DHARMAKSHETRA, SUNDAY - 20th May 2018, 4:15 p.m.
Swami has blessed us with Dr. Rani P.L as our Guest Speaker for the 38th edition of Samarpan at Dharmakshetra. 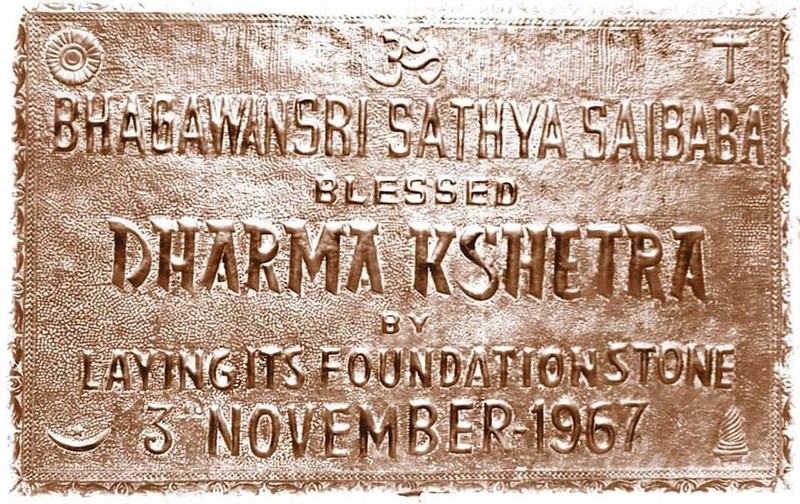 This period also coincides with the Golden Jubilee of Bhagawan's educational mission which started with Anantapur College in 1968, the same year when Swami inaugurated Dharmakshetra. To celebrate such an auspicious period, Dr. Rani shared with us what she has learnt at Swami's Lotus Feet through her personal experiences. Dr Rani P. L. from the Anantapur Campus, serves as the Head of the Department of English Language and Literature of SSSIHL, Swami's University. A meritorious Bal Vikas student from Kerala, Dr. Rani joined the Anantapur campus as a student for her intermediate course in 1988. Thereafter she completed her Bachelors of Science in Physics in 1993. At Swami's behest, she changed her course of study towards a post-graduation in English, which she completed in 1995. Bhagawan then personally gave her the opportunity to serve as a member of the university faculty in 1996. She considers this to be the biggest blessing of her life. With her flair and passion for the English language, she is an inspiring teacher who is also actively involved in most co-curricular areas like the Hostel Publications Division and the Women's Brass Band. A former member of the women's band of the Anantapur campus, she has been hugely instrumental in the growth of the women's brass band ever since. She has been blessed by Bhagawan to speak in His Divine Presence on multiple occasions, and she considers this opportunity to speak at Samarpan as one more occasion to relive and revel in His Divine Glory. 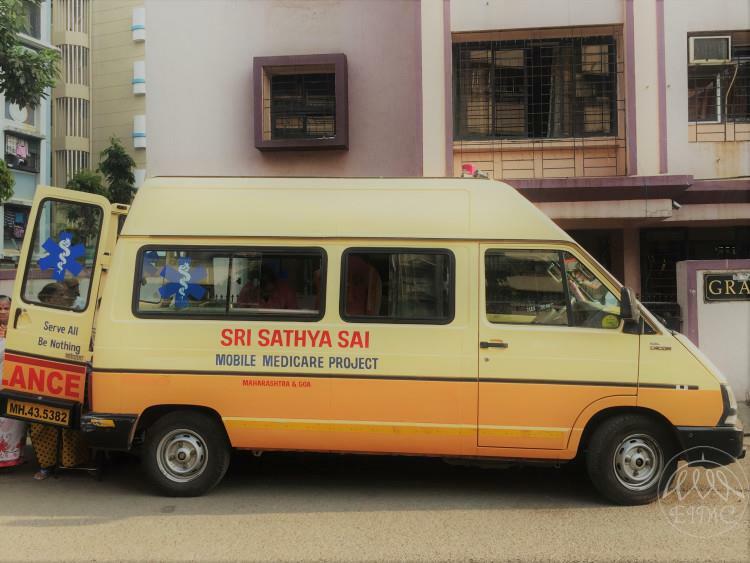 This project was undertaken by Sri Sathya Sai Seva Organization, Maharashtra and Goa with the object of mobilising village youth in various districts of Maharashtra from very poor background for getting them trained in existing govt approved institutions offering residential vocational training. The program began with bhajans and lighting of the lamp. All India President SSSSO Shri Nimish Pandya addressed the gathering at Dharmakshetra. The interactive sessions as well as felicitations of the star performers was very well organised. The staff of 9 Ashramshalas were invited to speak a few words about the success stories. In a span of about 3.5 yrs, more than 700 village youth were trained in job oriented vocational training courses in reputed institutions like Don Bosco and ICICI Academy. Most of them are gainfully employed. 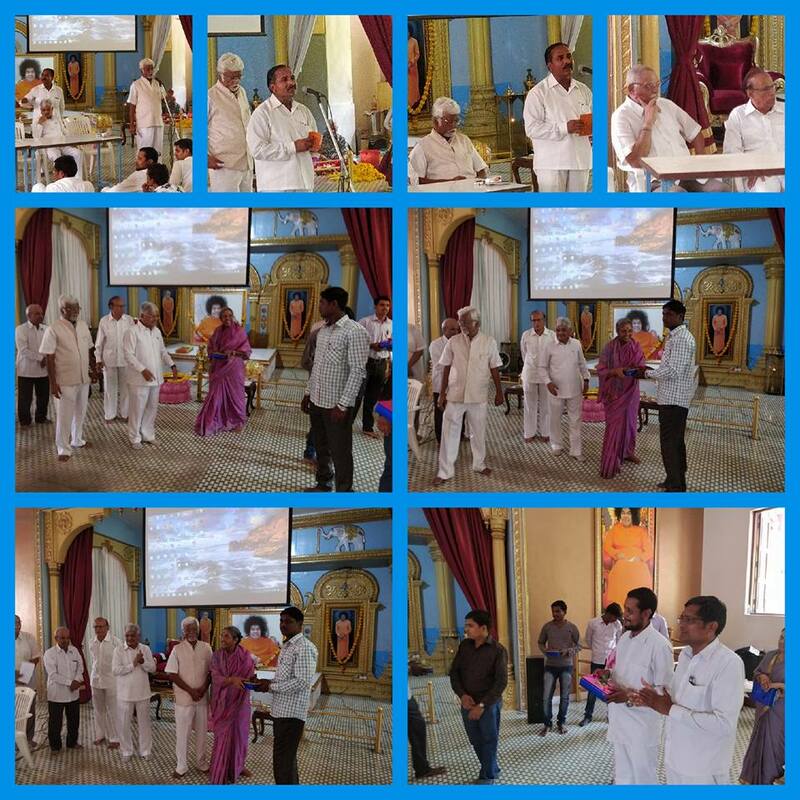 The star performers were felicitated by All India President Shri Nimish ji and State President Shri Ramesh Sawantji at Dharmakshetra on May 20, 2018. State Presidents of MP, Tamilnadu and Orissa also attended. Staff members of Ashramshalas were also invited to see Dharmakshetra and they interacted with the dignitaries of the organisation. About 700+ village youth mobilised from all over Maharshtra got Vocationally trained with employment assistance. 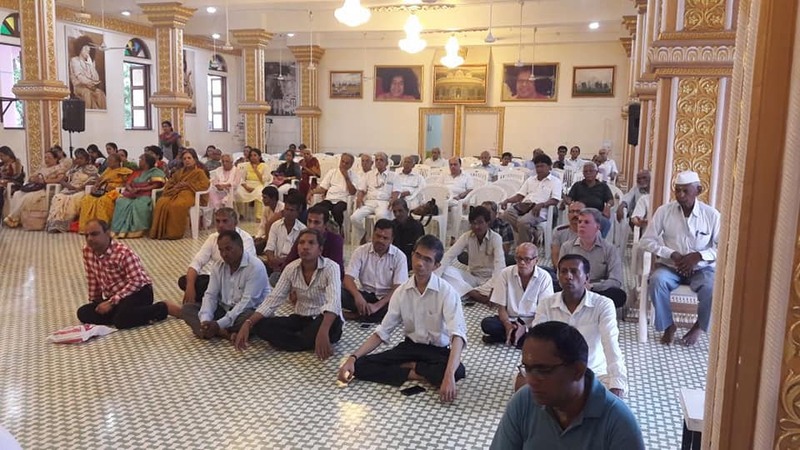 Sri Sathya Sai Vocational Training Programme - Sri Sathya Sai Ashramashala - Over 700+ village youth has been trained with Placement assistance organised by Sri Sathya Sai Seva Maharashtra and Goa. The above project began in 2014 with the mobilising of village youth in various districts of Maharashtra from very poor background for getting them trained in existing govt approved institutions offering residential vocational training. In a span of about 3.5 yrs, more than 700 village youth trained in job oriented vocational training courses in reputed institutions like Don Bosco and ICICI Academy. Most of them are gainfully employed. Few of the star performers among them work in banks also. Today 15 of these star oerformers were felicitated by State President Shri Rameshbai Sawant on Sunday, the 20th May 2018. The staff of 9 Ashramshalas, where this Seva is conducted, also were invited to speak a few words about the success stories and encourage their own Adivasi students to come forward and get vocational training and placed in jobs after X and XII. About five Ashramshalas already got ISO certification. One more in pipeline. Earlier All India President SSSSO Shri Nimish Pandya addressed to the gathering here at Dharmakshetra. More photos will be shared soon. SAIRAM. On 13th May , Sion Wadala- Balvikas children, celebrated "Bal Vikas Day " at Dharmakshetra. The children presented a skit, "Satyam Vada" . The BalVikas Alumini , (our youth) offered a Musical "Hum Tere Hein Sai". 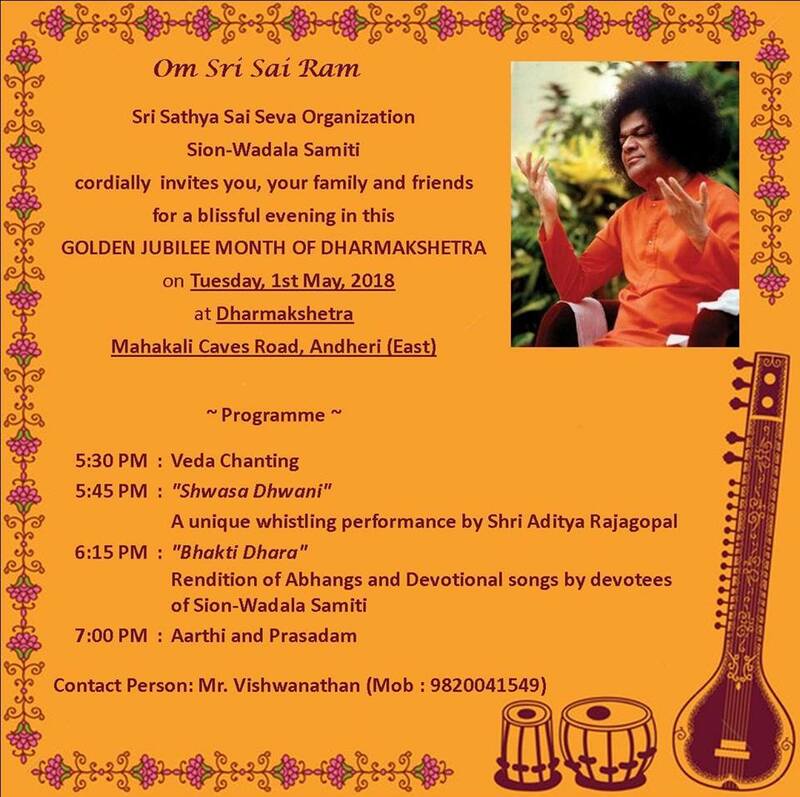 Golden Jubilee Celebration of Dharmakshetra - 12th May 2018. 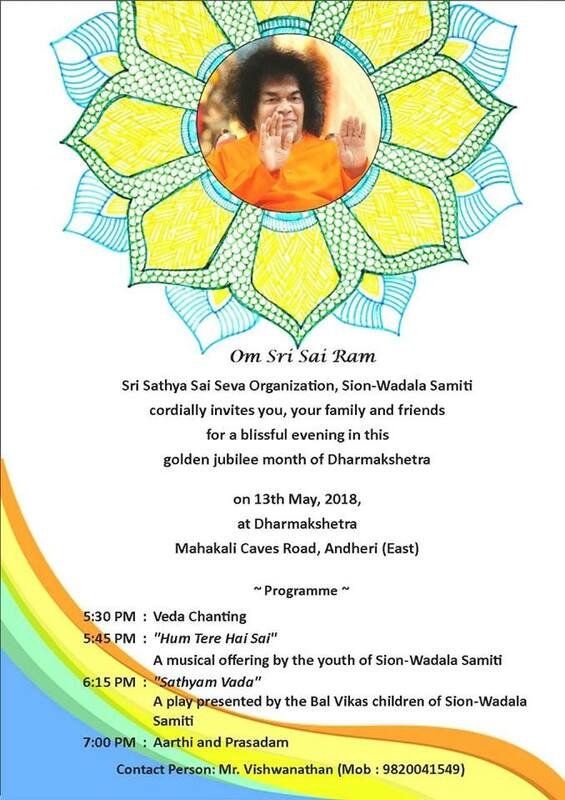 Live Streaming Video of Golden Jubilee Celebration of Dharmakshetra - 12th May 2018. Release of the book on the compilations of the Divine Discourses of Bhagawan Sri Sathya Sai Baba by Dr Shashank Shah. The book was released at the hands of Sushree Anuradha Paudwal on the occasion of the Golden Jubilee Celebration at Dharmakshetra on 12th May 2018. 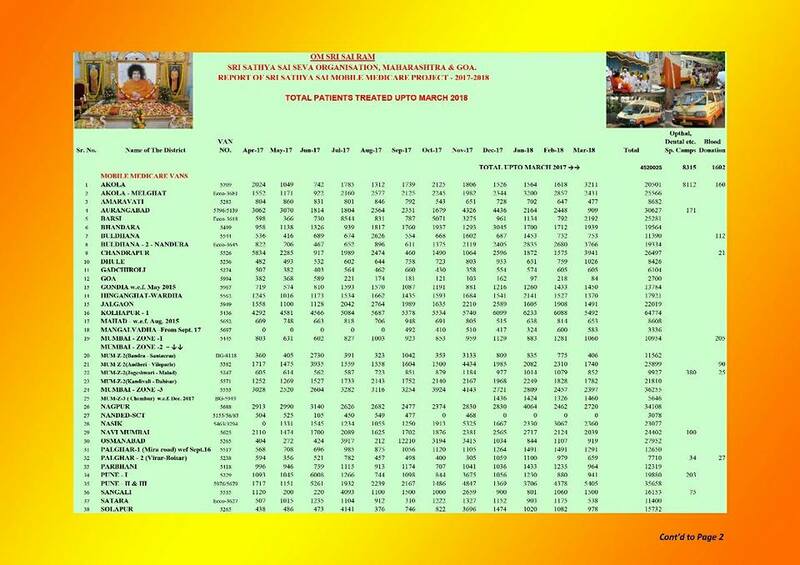 Today is a historic milestone in the Sathya Sai Avatar, the Golden Jubilee Anniversary of Dharmakshethra. I was not initially planning to post anything, but Dharmakshethra is too dear to my family and my heart to resist. In commemoration of this happy and memorable day, here is a beautiful short video showing glimpses from Swami's Divine visit to Dharmakshethra in 1976, shorly after the epic Golden Jubilee birthday celebrations in November 1975. Needless to say, Swami looks nothing like someone who is 50 years old! This is a very old video so do pardon the poor lighting in certain parts of the video. As a special mention, Sri Manoj Kumar, legendary Bollywood actor and producer of films such as Shirdi Ke Sai Baba, and an ardent devotee of Bhagawan, can be seen filming Swami below the stage at one point in the video. A young Bhajan Samrat Pandit Anup Jalota can also be seen singing in His presence. May these memories fill us with bliss and joy. And may Dharmakshethra forever be the Divine Lighthouse, showing the path to millions to seek His Lotus Feet. Today, #Dharmakshetra, the abode of #SriSathyaSai in Mumbai completes 50 glorious years. Devotees celebrate this memorable day in gratitude to our Beloved Master for gifting this holy abode to the city of Mumbai, and for the most precious days He spent here on over 40 occasions in the last 50 years. on Saturday, 12 May 2018. The celebrations will be in two parts. Sthaapana of Sri Shirdi Sai Moorti in Satya Deep-Anand Kutir Lawns followed by Maha Narayan Seva and Maha Prasad. 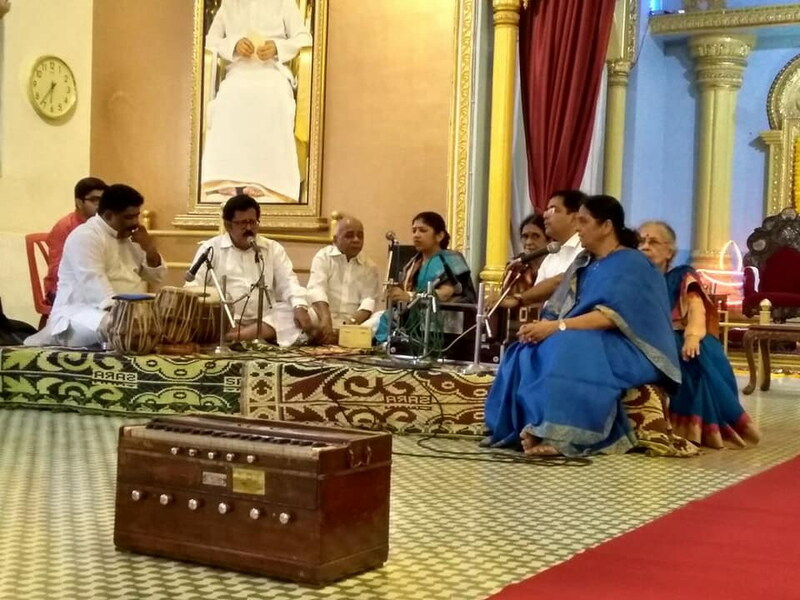 This will consist of Vedam Recital, Bhajans, Ceremonal talks and releases and renditions of Bhajans and Bhakti Geets by guest artists Sri Satyanarayan Nair and Smt. 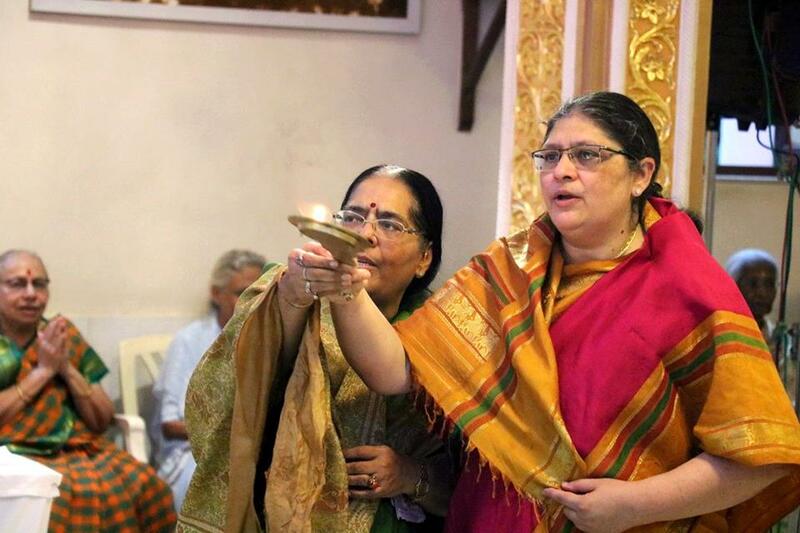 Anuradha Podwal, followed by Mangal Aarti and Maha Prasad. The events are open to all. ‘Dharmakshetra’, a Divine Lotus emerged from the uneven, hilly and slum area is a manifestation of Divine Sankalp and Love of His Holiness Bhagavan Sri Sathya Sai Baba, who laid its foundation on 3 November 1967 in the City of Mumbai in the State of Maharashtra in Bharat and declared that it would be ready on 12 May 1968. 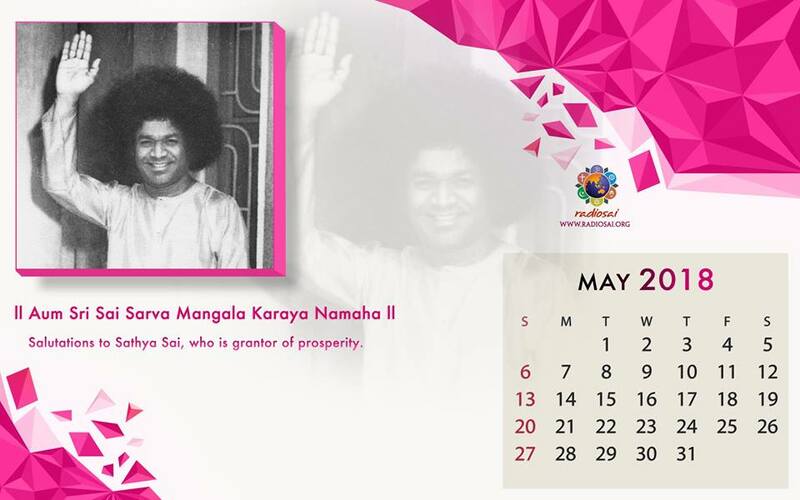 His declaration turned out to be a Gross manifested Truth on the eve of the First World Conference of Sri Sathya Sai Seva Organisation in May 1968. Dharmakshetra has a Divine Destiny to fulfill in the Divine Mission. It stands tall over a hillock as a beacon for mankind to embark upon the path of Dharma or Righteous Conduct. The Lotus shaped structure beckons man to embark upon sacred action and be like a lotus which blossoms and blooms in the unclean water of the pond but is still untouched by the dirt around. Dharmakshetra symbolises the core message of Bhagavan to Mankind , “to embark upon Dharma, experience Prashanti and regale in Parmanand”. Dharmakshetra signifies the mystical journey from “I to We”, from “We to He”, under His Supreme Guidance. This journey is from “Without to Within”, from “Untruth to Truth”, from “Kurukshetra-the battlefield of Sensual pleasures to Dharmakshetra-the Realm of Righteousness”. Bhagavan has equated Dharmakshetra with the sacred shrines of Kedarnath and Badrinath. He visited Badrinath over 40 years back and brought back its ancient glory. If you visit these two pilgrimage centres in the lap of the Himalayas, you will find a tremendous contrast between the two. Kedarnath shrine (11750 ft. above msl) with the backdrop of Kedardome, has a unique ambience which envelopes you with the feeling of Vairagya, detachment. From here the Pandavs took the route to body renunciation. From here, after his life's mission was fulfilled, Adi Shankar marched towards his heavenly abode. The feeling of detachment and renunciation that overcomes you cannot be described; it has to be experienced. Pilgrims are therefore advised to visit Badrinath (10,500 ft. above msl) after the pilgrimage to Kedarnath. In Badrinath worldly affairs submerge you. Material attractions (Maya) are strong here. In the backdrop of Nara-Narayan peaks, Badrinath brings us back into Sansar, with emphasis on rites and rituals. Although the two shrines are only a few kilometers away as the crow flies, Kedarnath has to be reached after a walk of several kilometers; on the other hand, Badrinath is easily accessible by road. Dharmakshetra as a Tirthkshetra is an idea Bhagavan gave several years back. It is for all of us to understand and decide how we fulfill this Divine injunction and be worthy of His Grace. A Tirth is a holy place from where Divine vibrations constantly emanate. Those sacred vibrations touch the conscience of the individual who visits it with reverence. Thereby, the individual gets a sense of fulfillment, peace dawns, and it raises his or her level of 'Awareness'. Dharmakshetra is a holy place because it is Bhagavan's Abode. 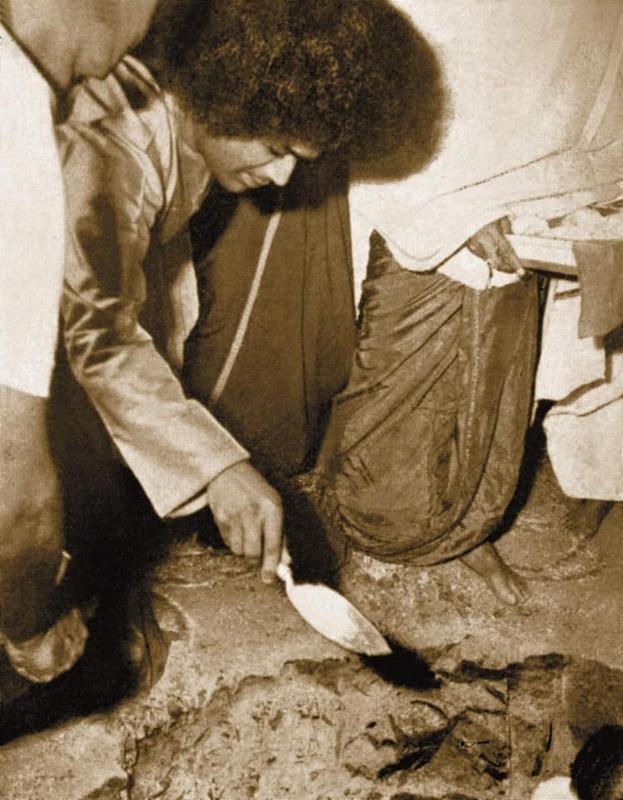 Here, during the span of 42 years years, He came and lived in Sathya Deep and charged it by powerful vibrations. Hence, the Central Place, the Sanctum Sanctorum from where these holy vibrations can be carried out is Sathya Deep. It is up to the individual Sadhaks (aspirants) to tune in with the Divine vibrations to bring about a quantum raise in personal Sadhana and consciousness. Dharmakshetra is a Divine Gift of the Lord to all those who come here. Naturally, we have to lay down specific rules and regulations for the above purpose, and these should be strictly followed. Any sincere Sadhak can participate in this sacred endeavour; there is no high or low in class or caste, age or reputation. Bhagavan Baba started the Sri Sathya Sai Vidya Mandir (school) here 37 years back. With the model of Prashanti Nilayam in mind, the students have to be fully involved and equipped with the Divine life style, and encouraged to take over Dharmakshetra activities, especially in the Sathya Deep surroundings. This effort has begun. Effort will be made to promote self-confidence in more and more students. An exposure in programmes of Meditation, Devotional Group Singing and Prayers, Seva and cultural activities will give them self-satisfaction leading to self-sacrifice. In this process, parents are active participants. Thus the first priority would be to promote Sadhana of the Vidya Mandir students so that they are equipped to play an important role in future. Another significant decision is to enrich the physical ambiance of Dharmakshetra from the entrance gate to provide an environment of tranquility, peace, cheerfulness and quietness. As a pilgrimage centre, Dharmakshetra is already attracting regularly an increasing number of visitors. It is necessary that they experience the pull of divine vibrations visibly displayed through cleanliness, beauty and courtesy. Always in the past, with the Blessing of Bhagavan, Dharmakshetra had symbolised the journey from I to We to Him; as one enters the gate, one becomes aware that good health is the first step to spirituality. The Sri Sathya Sai Medical Centre on the left near the gate is symbol of this awareness. Further up the road, one comes face to face with the huge mural of the Sun God astride on the chariot pulled by seven horses. Sun is our immediate divine symbol, the creator of Praan in all of us. As one moves further up, the artistically placed Sri Ganesh, Mother Gayatri and Jhulelal statues creates pleasant vibrations in us. Our journey is well begun. Peace descends in us. On the left is the prayer hall, Shanti Deep, inaugurated by Bhagavan on 12 May 1969. Daily Bhajans are organised here, morning and evening. Further on the left, behind Shanti Deep is the Manav Abhyuday Kshetra. When Bhagavan Baba laid the foundation 20 years ago, little did we know that this educational complex will house three distinctive units - the Sri Sathya Sai Vidya Mandir (Primary and Secondary Schools), the Institute of Sathya Sai Education, and Pragya Deep, the permanent Bal Vikas Archives Exposition and Sri Sathya Sai Wellness Centre. These are destined to play a very crucial role in future in promoting the Mission of Bhagavan Baba. The complex also houses Gyan Deep in which regular organisational meetings and training courses are held. 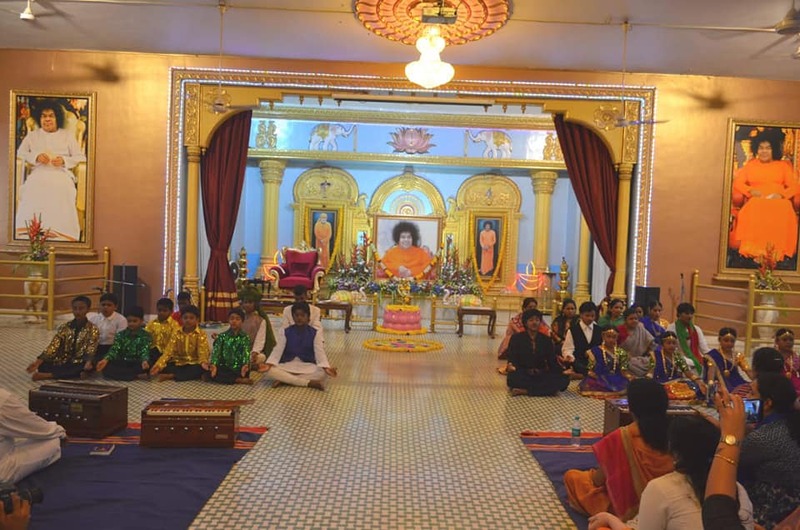 With peace in the heart and understanding of Sri Sathya Sai Educare in the Head, we proceed to the Sanctum Sanctorum of Dharmakshetra - Satya Deep. Truth is only One and the Sarva-Dharma-Aikya Stoop, which stands adjacent, proclaims this truth. The Meditation Centre in Satya Deep is the final destination to experience this Unity. Unity is Divinity. Thus, Dharmakshetra prepares us physically, mentally and spiritually for Love in Action. As we descend the hillock, carrying Divine radiations within our heart, we are prepared to enter the social milleu. The third important step we have to take is to gear organisational activities and prepare members to support individual awakening. Dharmakshetra has to be vibrant with educational and spiritual activities – Vedam Chanting and Meditation Classes, Study Circles, Spiritual Discourses, and Programmes by school students, training courses for teachers, gurus and educationists. Personal Sadhana has to coincide with community goals. This, the journey of man from “I to We”, is bound to fulfill the expectations of Bhagavan Baba in establishing Dharmakshetra in the heart of Mumbai. The uniqueness of Dharmakshetra lies in the fact that it awards every soul an opportunity to embark on a ‘Spiritual Journey’. How true are the above words if we consider the selfish attitudes rampant here in the field of party politics, education, media publicity, medical profession, corporate captaincy and even in sports activities where humans are behaving like animals on the sports ground! Truly speaking, Dharmakshetra in Mumbai has become the Tirthkshetra for the benefit the entire humanity. Here there is a blend of Educare, Medicare, Sociocare and Spiritual learning, through a divine ambience contributing to the development of five basic, fundamental and inseparable human values viz. Sathya (Truth), Dharma (Right Conduct), Shanti (Peace), Prem (Love) and Ahinsa (Non-violence). Even a casual round over the campus of the Dharmakshetra will not only magnetise or electrify, but also divinise the age-old Soul (Atma) embedded in the Body (Deh) covered with Kaam (Lust), Krodh (Anger), Mada (Ego), Moh (Attachment) and Lobh (Greed), generated from Trigunas- Sattva (Purity), Rajas (Passion) and Tamas (Inertia). “All our Karmas (deeds) have to ever tread and traverse only with the Realm of Dharma and with the Awareness of Brahman. Our hearts have to be transformed into a Dharmakshetra and the Satya Deep (the Divine Consciousness) should be made to shine in its full glow and effulgence in the very niche of our hearts. This is the holy message of Dharmakshetra”. 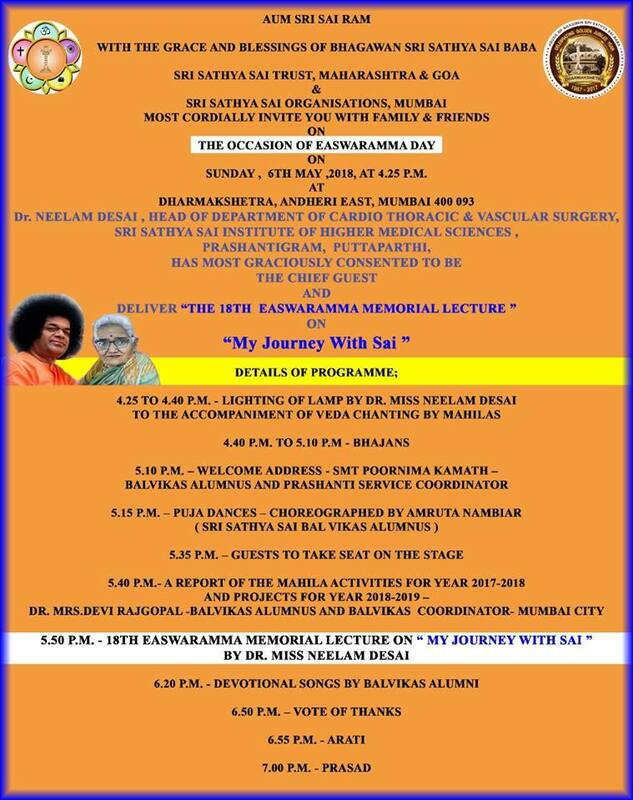 Dr. Neelam Desai Head of Department of Cardio Thoracic & Vascular Surgery from Sri Sathya Sai Institute of Higher Medical Sciences Prasanthigram, Puttaparthi, today delivered "THE 18TH EASWARAMMA MEMORIAL LECTURE" on "My Journey With Sai"
Easwaramma Day Celebration at Dharmakshetra - Sunday, 6th May 2018. Dr. NEELAM DESAI HEAD OF DEPARTMENT OF CARDIO THORACIC & VASCULAR SURGERY, SRI SATHYA SAI INSTITUTE OF HIGHER MEDICAL SCIENCES PRASHANTIGRAM, PUTTAPARTHI, CHIEF GUEST FOR TODAY'S PROGRAM DELIVERED "THE 18TH EASWARAMMA MEMORIAL LECTURE"ON "My Journey With Sai"
Easwarama day celebrations at Mulund Samithi on 6th of May,2018. 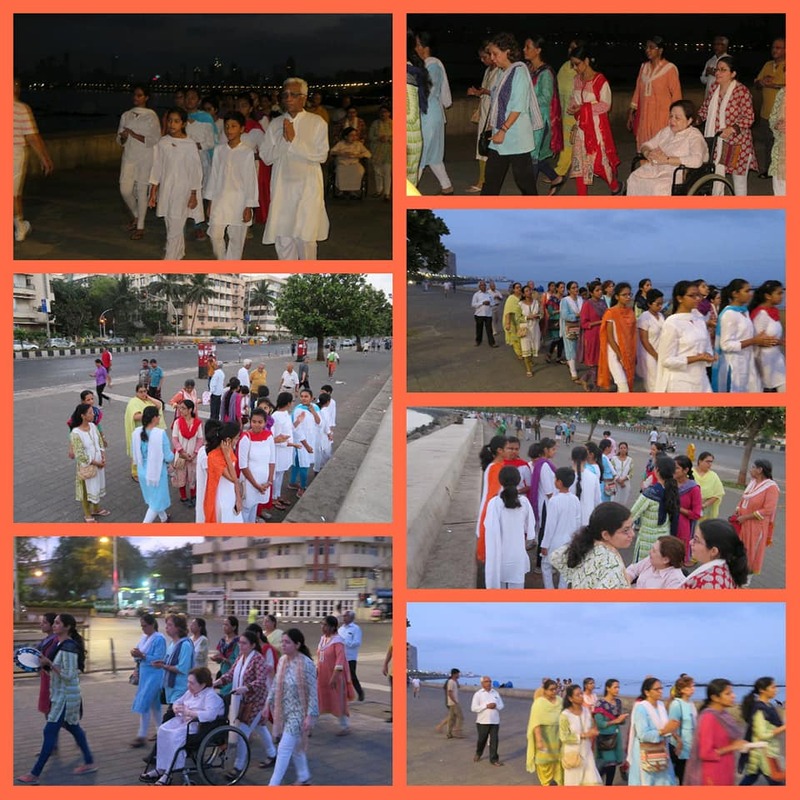 Commenced with 21 time omkaar, sai suprabhatam followed by nagarsankeertan at 6.00 am from shiv mandir, Ambedkar road opposite Kalidas Grounds. It was then concluded by aarti and easwaramma pledge taking ceremony by the children in front of their parents. *Volunteers* are needed to approach the commuters and convince them to take part in the good cause. Those who wish to participate may please contact the respective convenors of their area or incharges. Please feel free to serve at any station according to your convenience. You can opt either for the morning shift, afternoon shift, full day or even for a few hours. 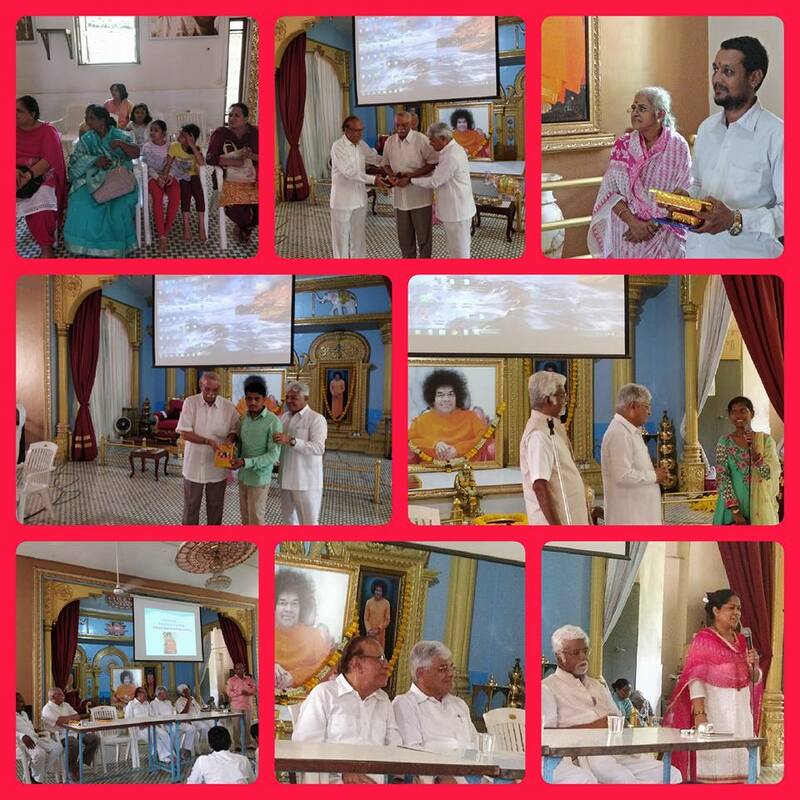 On 1st of May, Sion Wadala Samithi, began their month at DHARMAKSHETRA ,with two programmes. 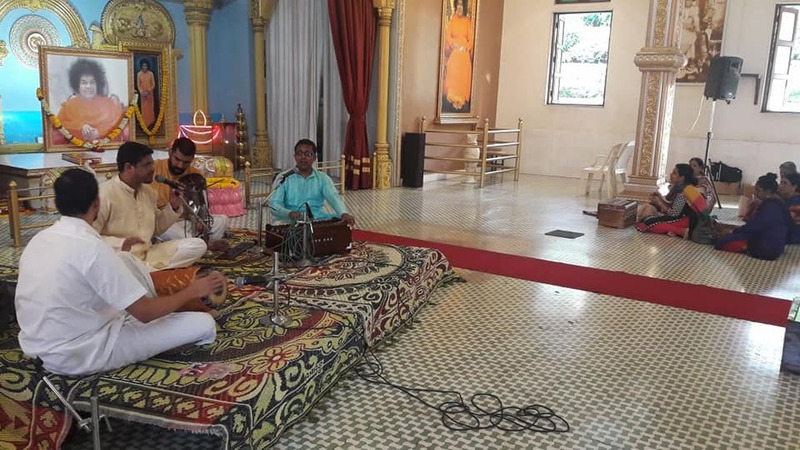 Aditya , one of our youth performed a unique Whistling concert of Sai Bhajans & Desh Geet, with full accompaniments. This was followed by Abhang & Devotional songs rendered by a talented group of singers of the samithi. 38th edition of Samarpan on 20th May 2018* at Dharmakshetra. 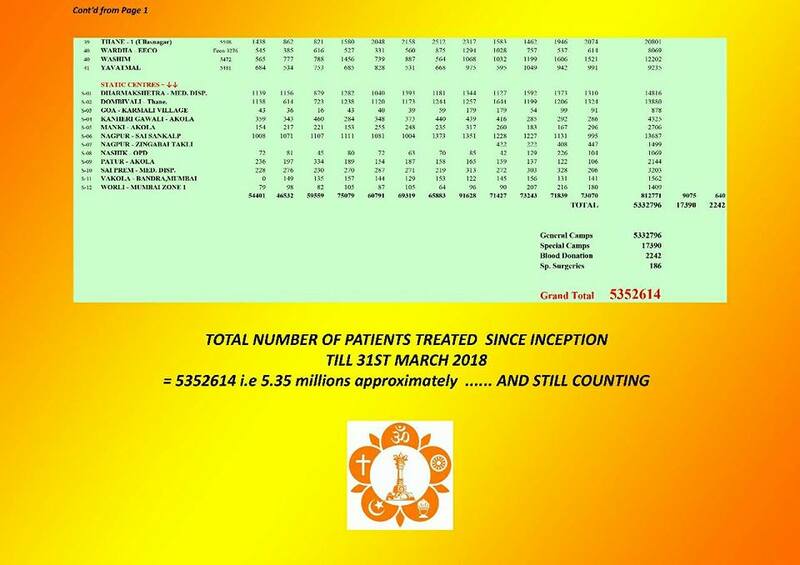 By Swami's Grace, we will be having our *38th edition of Samarpan on 20th May 2018* at Dharmakshetra. For this edition, Swami has blessed us with *Dr. Rani P. L.* as our Guest Speaker who will arrive from Prasanthi Nilayam to share her personal experiences with us. All are invited with family and friends for blissful Satsang. 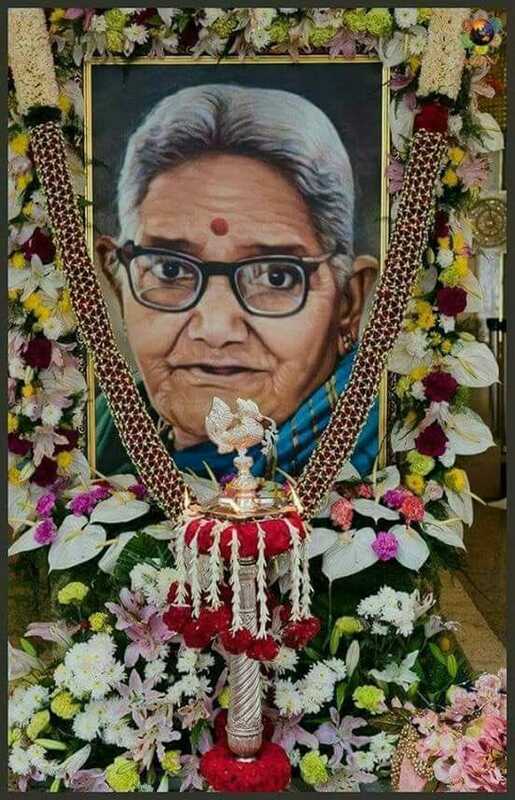 In this auspicious month of May when we celebrate Mother Easwaramma Day and the Golden Jubilee celebrations of Dharmakshetra, Swami has blessed us with Dr. Rani P.L. as our Guest Speaker for the 38th edition of Samarpan to be held on 20th May 2018. This period also coincides with the Golden Jubilee of Bhagawan’s educational mission which started with Anantapur College in 1968, the same year when Swami inaugurated Dharmakshetra. To celebrate such an auspicious period, Dr. Rani will arrive from Prasanthi Nilayam and share with us what she has learnt at Swami’s Lotus Feet through her personal experiences. 5.20 pm: Talk by Guest Speaker – Dr. Rani P.L. 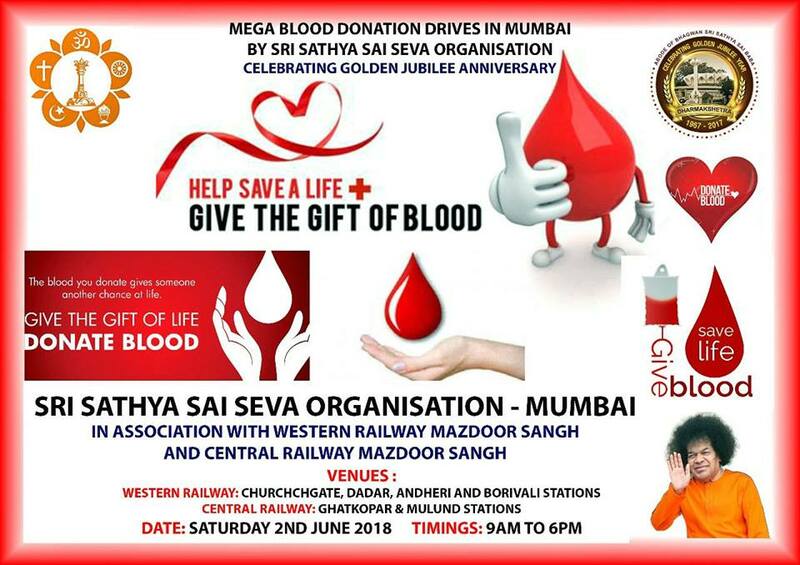 Programme by Sion-Wadala Samithi at Dharmakshetra on Sunday 13th May 2018.